We have spent the last eight days in the Galapagos, and are sitting now in the Guayaquil, Ecuador terminal waiting for our flight to Quito. Tomorrow night we take a red eye and will be back in Denver around 9 a.m. Thursday. 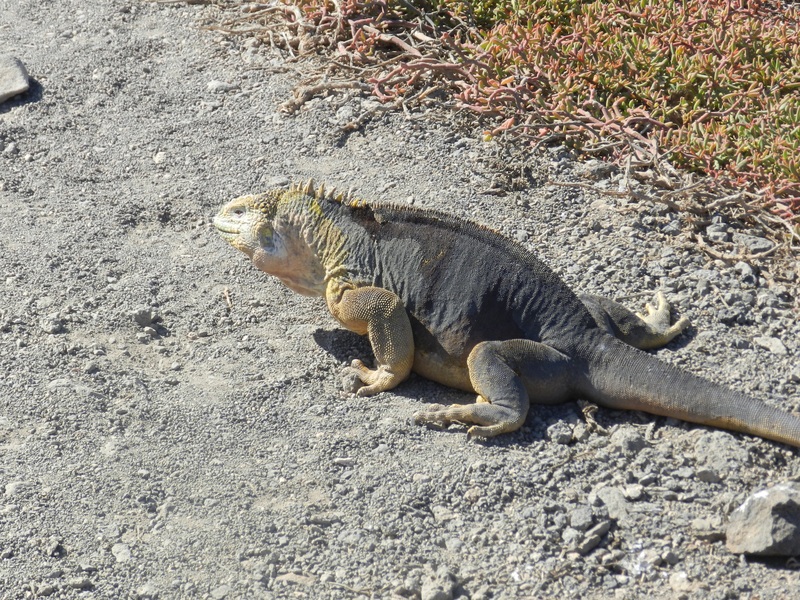 I was very pleased in the Galapagos not to be taking notes or attempting to learn anything. We are part of a Road Scholars group, a not-for-profit travel service, and so had naturalists on board our cruise around the islands. I quickly decided I did not care about species adaptations on exhibit there, and so did not pay much attention to lectures and stops on walking tours. After the grueling Machu Picchu trak, this was a breeze. All of the participants are 55 or older, most in poor physical condition, so that a one-mile 1,000 foot climb to the mouth of a volcano was cause for concern as being too strenuous. That’s OK. They are all very nice people, and we enjoyed the comraderie. They hail from Raleigh, Sleepy Hollow, San Diego, Coca Beach, Austin (MN), Las Vegas and other places. We were served three meals on board every day, and I found myself barely hungry most of the time. The equivalent of Ecuadorean beer in the US is, I think, O’Douls. I am happy the Galapagos are preserved in their mostly natural state, that people study the animals and habitat, and that tourism does its part to protect the place from billionaires who want to buy the islands and quarantine them. It is amazing, being away from news now for virtually three weeks, that nothing has changed. We are diddled by the illusion of connection to events that are mostly hidden from view. I do hope everyone has opportunity to travel as we have. It is eye-opening, mind-opening, and fun. On deck, we have decided, are trips to New Zealand and Australia (one trip) and Iceland/Switzerland (ditto). Don’t know when. Just know that to be our current plan. As Mark twain observed, travel is enlightening. More so for the young than for the old, I’m afraid, but still it even effects old brains if not so much as young brains. Doesn’t travel make you feel younger? I suffer from stereotypes covering the entire planet. I need to be set straight. Age has nothing to do with it.